Sumitomo Chemical (“the Company”) has recently gained approval from the Science Based Targets initiative (SBTi) about the Company’s Group-wide greenhouse gas emissions reduction targets. 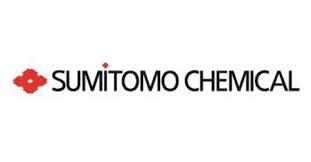 Sumitomo Chemical is the first among diversified chemical companies in the world to have acquired the approval. The SBTi is a global organization of collaborative initiatives, comprised of CDP※1, the United Nations Global Compact, World Resources Institute and the World Wide Fund for Nature. The Science-Based Targets are the greenhouse gas emissions reduction targets ambitiously set by companies, based on climate science, to meet the 2015 Paris Agreement goal of keeping the increase in global average temperature to below 2ºC compared to pre-industrial temperatures. Sumitomo Chemical sees global climate change as one of the highest-priority challenges facing society. Toward solving the problem, the Company has been working proactively to reduce greenhouse gas emissions by mobilizing the technological expertise it has developed as a diversified chemical company. As part of such endeavor, the Company has formulated anew its mid-to-long term policies as to how it should tackle the imperative problem of climate change. In July of this year, Sumitomo Chemical submitted certain targets, as outlined below, to the SBTi, which reviewed the targets thoroughly and has given official approval thereon.  To reduce the Group’s greenhouse gas emissions (Scopes 1+2※2) 30% by FY2030 from a FY2013 base-year.  To reduce the Group’s greenhouse gas emissions (Scopes 1+2) more than 57% by FY2050 from a FY2013 base-year, while providing solutions with customers for substantial greenhouse gas reduction in the Group’s value chain. Embracing the Company’s business philosophy of “working to contribute to society through our business activities,” all companies of the Sumitomo Chemical Group will continue to be united as one in helping to solve climate change and other societal challenges. -1 An international NGO whose predecessor is the Carbon Disclosure Project. -2 Scope 1: Direct emissions from manufacturing or processing plants, including consumption of fuels in manufacturing. Scope 2: Indirect emissions from generation and consumption of electricity/heat purchased from outside sources. -3 Scope 3: Emissions during manufacturing, transportation, etc. of purchased raw materials. -4 “Major suppliers” means those suppliers of raw materials and the like that account for 90% thereof on a weight basis.